Perth Airport is Australias fourth largest airport in terms of passenger traffic. Only 12 kilometres from the heart of Perth, Perth Airport works closely with the tourism industry to develop tourism in Western Australia and is a member of the Perth Convention Bureau, the Pacific Asia Travel Association and is a gold member of the Tourism Council of Western Australia. Perth Airport is the premier international, domestic and regional gateway to this exciting State for commercial aircraft, freight and passengers, and plays an important role in Western Australias economy. Terminal 1 (International) is located on the eastern side of the main runway and is positioned between this runway and a future wide-spaced parallel runway. The Domestic Terminals are located on the western side of the airfield. Qantas operates Terminal 4, where Qantas, QantasLink and Jetstar domestic services arrive and depart. Adjacent to Terminal 4 is the Perth Airport operated Terminal 3. The airlines operating from Terminal 3 are Alliance Airlines, Skywest Airlines, Tiger Airways and Virgin Australia. Perth Airport also encompasses several smaller terminal operations, which provide charter services and services to specific regional areas in Western Australia. Perth Airport offers a range of parking options to suit your needs. There are more than 16,700 bays across the current International Terminal (T1) and Domestic Terminals (T2, T3 and T4), so while you cant currently pre-book, therell always be a safe and secure space for you. When you arrive at the airport simply follow the signs to the car park area of your choice. 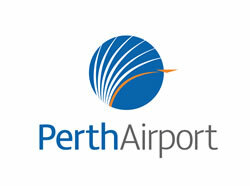 Please visit the Perth Airport website for current parking costs and conditions. Drive yourself to the airport and stay in control of your next overseas journey. SHORT term Parking is ideal for picking up or dropping off passengers, or for business travellers looking for convenient parking close to the terminal. LONG term Parking is ideal for longer stays (more than one day). At Domestic Terminal 2 (T2), there are two parking options available for you. SHORT term parking is great for picking up or dropping off passengers. Perth Airport is currently offering free SHORT term parking for visitors to T2 for stays of up to 1 hour only. Parking tickets must be validated at the pay machines located near the cross walk between T2 and the SHORT term car park. Please ensure that you take your ticket with you to T2 so you can validate it on the way back to the car park. SHORT term Parking, ideal for picking up or dropping off passengers, or for business travellers looking for convenient parking close to the terminal. LONG term Parking, ideal for longer stays (more than one day). FAST track Business Parking, ideal for travellers looking for premium, covered parking right outside the terminals. PARK&wait is ideal for people wanting to park and wait with their vehicle in a safe area for up to 90 minutes. Regional Terminals Parking is perfect for those travelling with airlines that depart from the General Aviation precinct. T1 and T2 are located on Horrie Miller Drive, accessed via Tonkin Highway. Approximately 35 minutes from Perth city. T3 and T4 are located on Brearley Avenue, accessed via Great Eastern Highway. Approximately 25 minutes from Perth city.